Pure adrenaline... I am #tirolinaser! In the beginning, Death slide and Tibetan bridge were technologies used to overcome geographical accidents impossible to overcome without the help of a rope. Nowadays, the zip line is included inside the modality of escalation and vertical technologies. Death slide or Zip line is nothing but the union of two points across a rope or cable, which will allow us to go across slipping, since it would be impossible or dangerous to cover that distance on foot. A pulley is used to slide down with the cable or rope, and safety equipment that will hold you in case of a possible break of the pulley (somewhat improbable). See how exciting a Zip line tour is! And there’s more. discover the bosc aventura tibetan bridge! 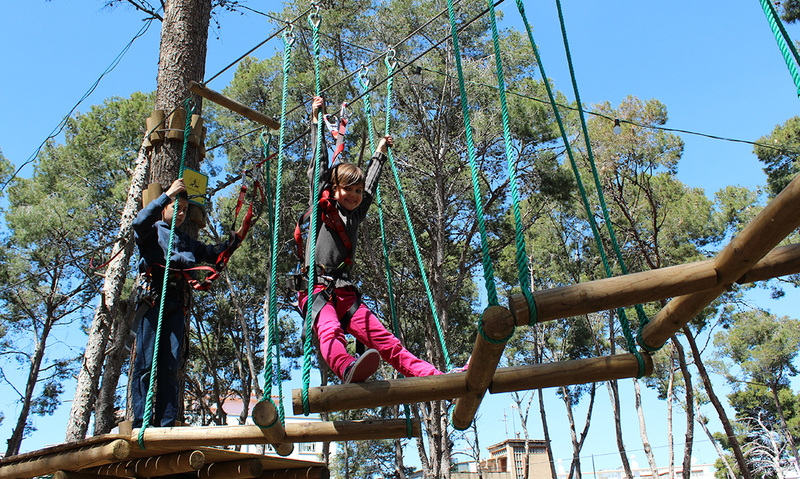 Apart from enjoying a day playing with the Zipline for children in Salou, your visit to BOSC AVENTURA will allow you to discover the Tibetan bridge. It is a structure roped by two points (the ends of the rope or cable), to go from a side to the other one. The difficulty of the game consists of striving for balance while you walk on it. Emotion, sport, nature and amusement. Are you going to miss it? Always with an adult, they will enjoy 13 different games among the trees areas 1-2 metres from the ground. Among them, stairs bridges, Tibetan bridges, net bridges and 2 Ziplines! Length of the tour: 95 metres. For those over 1’20 meters. 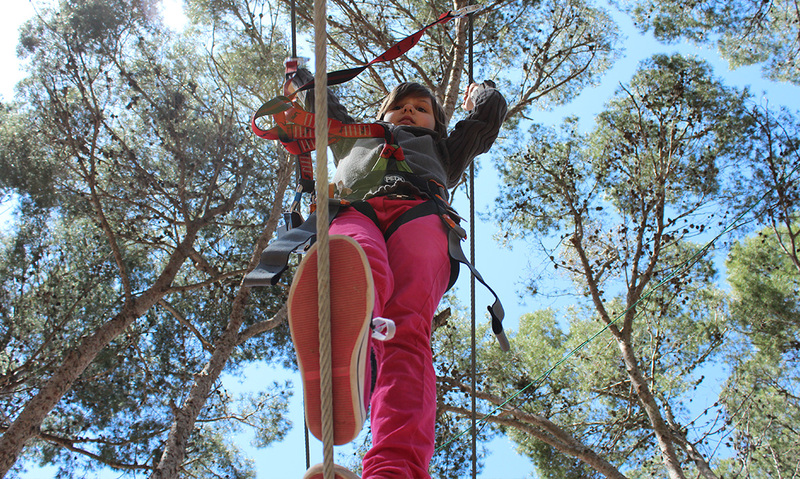 We have 2 circuits in our Zipline park in Salou,, one of easy difficulty and other one of medium difficulty, where they will enjoy 13 games from a height of 3 meters up to 5 meters, with a zipline the easy one and two zipline the medium one. Length of the easy tour and medium tour: 95 and 115 meters respectively. 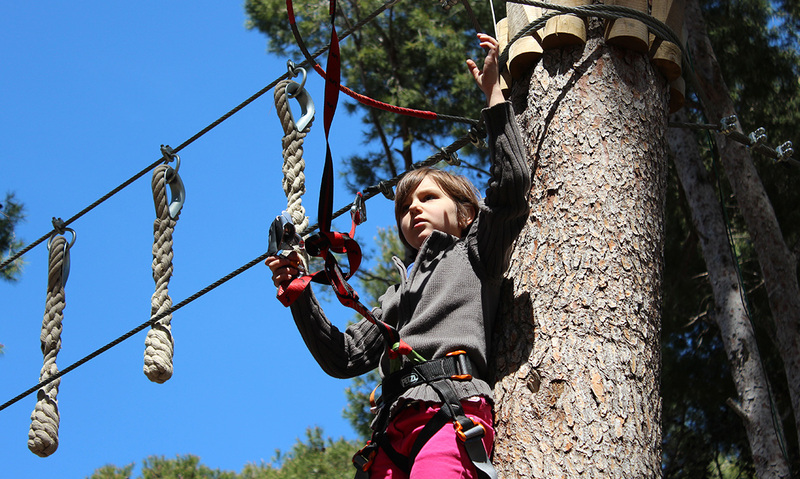 If you are an intrepid adventurer, This circuit of ziplines is done for you! It is the most difficult of all our park of adventures. Those who are over 1'45 meters will enjoy this magnificent circuit, with 16 different games and with 3 fantastic ziplines of more than 80 meters and up to 10 meters of height. Length of the tour: 250 meters. 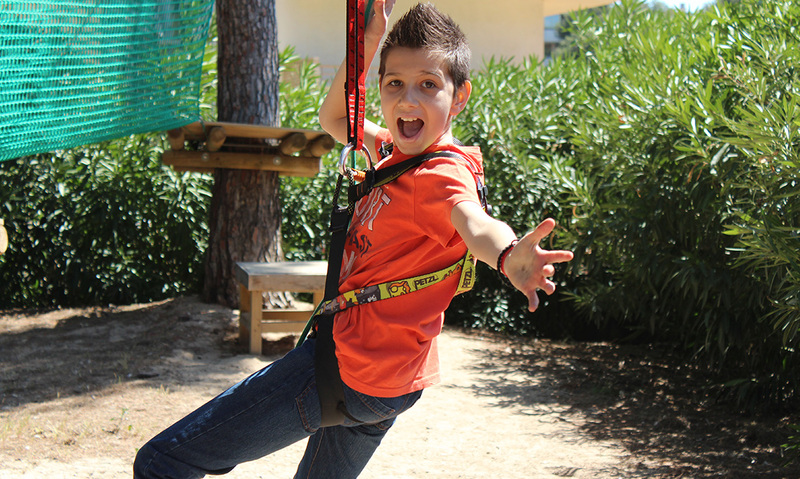 Enjoy with your family the reference Zipline Park in Salou. Previously all participants will have to take an induction training supervised by the overseers. Safety harness and safety equipment are always needed for Ziplines and Tibetan bridges. They allow us to do both activities with total safety. In case of a possible fall, always we would remain hung avoiding falling down in the soil. 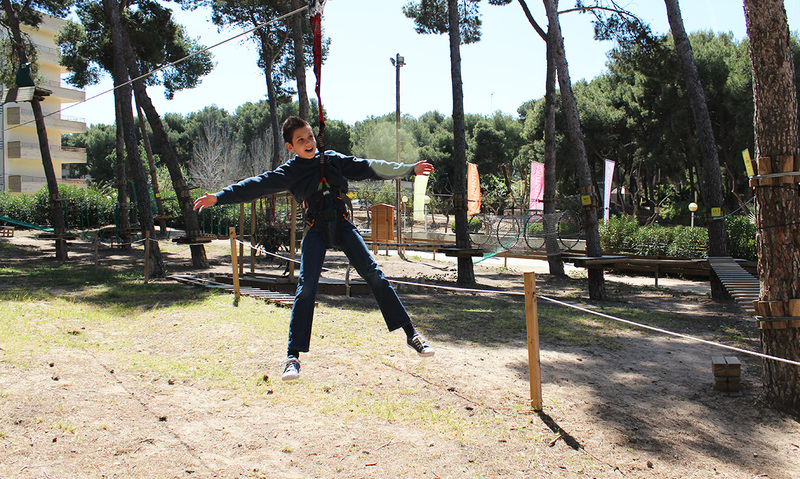 What is included in the bosc aventura zipline activities? Zipline pulley system and briefing (essential information received during an initial circuit testing to execute the rest. Do you want to have fun with your family and friends? 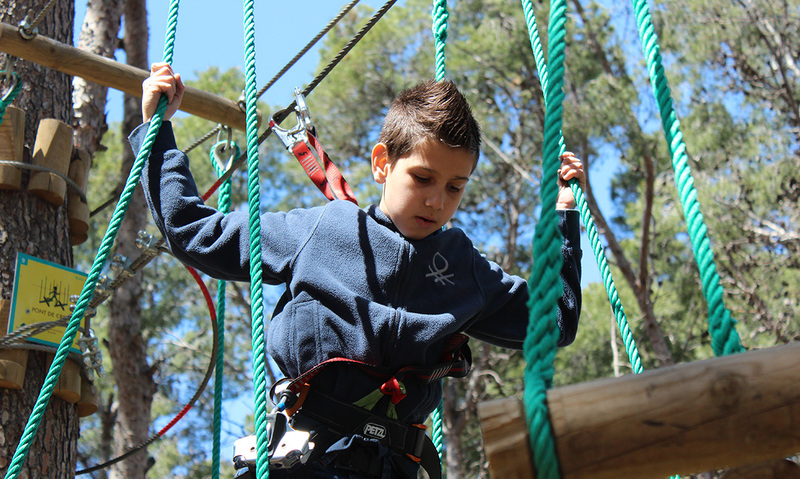 Bosc Aventura zip lines are ready. Come and discover them!